The County, Association and PGA have introduced the Talent Development Pathway, an integrated coaching pathway for junior Boys and Girls, following the provision of funding by England Golf and Sport England. The aim of the Pathway is to develop player skills through Squad level coaching. The table below provides guidelines under which the County may accept juniors into the annual Talent Development Pathway. Successful candidates may then be invited for further more detailed coaching afterwards. 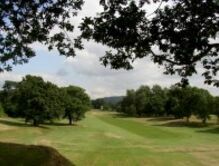 Club Junior Organisers (and any interested party) are asked to note that Cheshire has upwards of 3,000 junior golfers in the county and, with perhaps only 72 coaching places available, places are somewhat limited. It is emphasised however that we do want to hear about every junior within the guidelines and coaching places will be spread as much as possible over all age-groups. The Junior Golfer Report Form is key to coaching selection. These forms must be submitted by Club Junior Organisers to either the Boys Team Manager or the County Secretary no later than 31st August in each year as winter coaching candidates are selected in September. If we don’t hear about a junior, their chances of coaching selection are slim. If a junior is not chosen one year, they still have the opportunity to be selected in the future. Selection is a function of age and handicap progression. For this same reason, a junior selected one year is not necessarily guaranteed selection in the current or ensuing years. The Junior Golfer Report Form gives us this relevant information. Junior Organisers can make nominations for County Coaching by completing a Junior Golfer Report Form. A Junior Golfer Report Form is provided for Club Junior Organisers to report on the progress of promising juniors. It enables the County to assess their eligibility for Junior Coaching and/or County representation in Junior Team Matches. The County welcomes and encourages all Junior Organisers to report regularly on the progress of juniors in their club, and by working together the County and Club can strengthen their skills at Club, County and possibly Country level. A Microsoft Word version which can be saved on your PC first, then the PC saved version opened, edited and emailed to secretary@cheshiregolf.org.uk. A PDF version which can be printed, completed and sent by post to the County Secretary. Initial performance assessments by the County Coaches take place in the autumn every year at the Sandfield Driving Range and the High Legh Park Golf Club. As a result of the assessment letters are sent out to successful juniors to join the Talent Development Pathway with one of the Under 12, Under 14, Under 16 and Under 18 Squads. Places in the squads are awarded according to performance, age and places available in the squad. Additional squads at Under 15 and Under 17 according to demand may be provided to assist and continue progression through the squad system. In addition to the funding support from England Golf and Sport England, the County and the Association are also providing funding but is has been necessary to ask for a contribution of £25 to cover a very small part of the coaching costs. The pathway draws together 4 coaches from the County, Association and the PGA to deliver coaching sessions. Typical these group sessions may be of up to 12 hours spread over 4 sessions, usually between March and September although some sessions are held in Winter and also can include warm climate coaching. Most sessions are held at the home course of the County Coach but some are held at locations with multiple facilities especially during winter. The player’s home coach is still very closely involved on the technical side and we hope there is more coach-to-coach communication. Additionally we ask participating juniors to pass on their positive experiences to fellow juniors at their club, making them aware that they too can be considered for our program in the future. The main level of coaching is the squads, Under 12, Under 14, Under 16 and Under 18, which offer a more intensive level of coaching aligned to team matches. The Boys and Girls run similar programs for their squads. The prime focus of the sessions is on the key scoring zone activity (100 yards in), more on course activity, course management, decision making and preparation, to name only a few. Most of the squads are involved in matches against clubs and other Counties. There is continuous performance assessment with targeted coaching to help with specific problems. But again progression from one squad to the next is dependent upon performance and the number of juniors competing for a squad place. However if a junior does not make the squad, the next year additional squad places may be available to retain keen juniors within the Talent Development Pathway. The ultimate progression for Under 18 Squad juniors is to the full County Squad Team. This may take several years to be achieved. The overall coaching operations diagram. The county coaching managers and county coaches for the current season are given here. 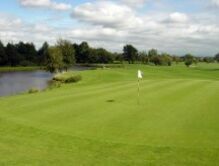 During the season, players are expected to play in Open competitions, County and Regional Championships with the ultimate aims of selection for the County and England Golf Regional Coaching Programs and correspondingly the Mens and Ladies County Teams. England Golf, the CUGC, the CCLGA and the PGA are quite clear on player and parental confidentiality so individual information must always come from the player or parent after feedback from the coach. This is an exciting time for Junior Golf in Cheshire and we do hope that this initiative enables more juniors to enjoy this fantastic sport. 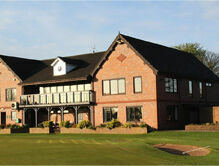 We look forward to seeing as many of you as possible during each golfing season.